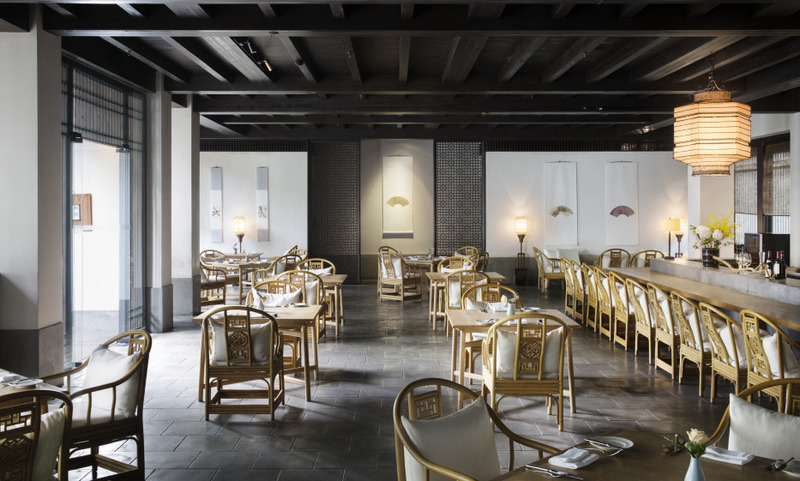 Surrounded by tea fields and woodland on the outskirts of Hangzhou and the UNESCO-protected West Lake, Amanfayun retains the layout of a traditional Chinese village. Situated on 14 hectares, the resort comprises 42 dwellings, an Aman Spa and village eateries ranged along Fayun Pathway, the village’s main thoroughfare. The property is a 800 years old traditional village from Yuan Dynasty transformed into a resort property. The hotel's spa, a Chinese bathhouse, has a one-of-a-kind take on wellness. Tasting the Tea House's succulent brews.